What do the numbers on a cordless drill mean? You can turn the gray numbered part to switch between, hammer drill, drill and screwdriver mode. The screwdriver mode is numbered up to 22. Can someone explain what the different numbers mean? I haven't really noticed a difference between them. When the drill is used as a screwdriver, the numbers indicate the torque breaking point. Higher numbers mean more torque. By breaking point, I mean the point at which torque is no longer applied. This feature is useful because you can limit the amount of torque that is applied to prevent screws, or the materials they are inserted in, from being stripped. When the screw is in all the way, you want the torque to stop. When you use the drill as a drill, as opposed to a screwdriver, you set the number to the infinity, or highest setting. Not the answer you're looking for? Browse other questions tagged drill powertools or ask your own question. Should the hammer function “feel” different from normal drilling function on a hammer drill? How can I repair the chuck on my cordless drill? 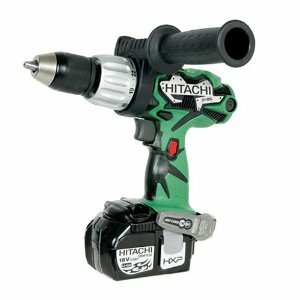 Will I damage a cordless drill/screwdriver if I “over-torque” it? Why is my Bosch drill working intermittently?